Bavaria taps into Italian design for their sporty new 2016 Sport 450 Coupe. 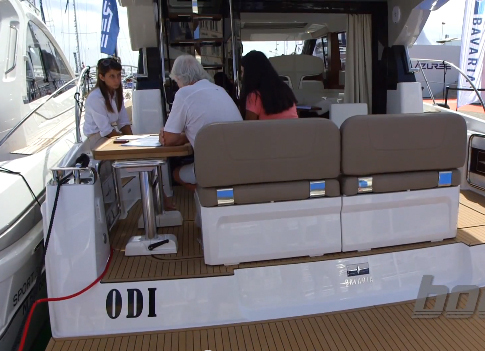 Stepping aboard the 2016 Bavaria Sport 450 Coupe at the Fort Lauderdale International Boat Show, the first thing we noticed was the large, aft-facing sunpad with raised headrests and hidden cup holders in between. The pad lifts open on gas-assist struts to reveal a garage below that can hold a folded inflatable tender or quite a few water toys, bikes, lines, and fenders. The pad dominates the cockpit, and is separated from the interior by a wide electric window that opens vertically and combines the exterior and interior spaces in a nice flow. Inside, the helm, galley, dinette, and an aft-facing companion chaise-lounge co-exist in a well-designed social space. Take a look for yourself, and see our First Look Video of the Sport 450 Coupe, filmed at the show. 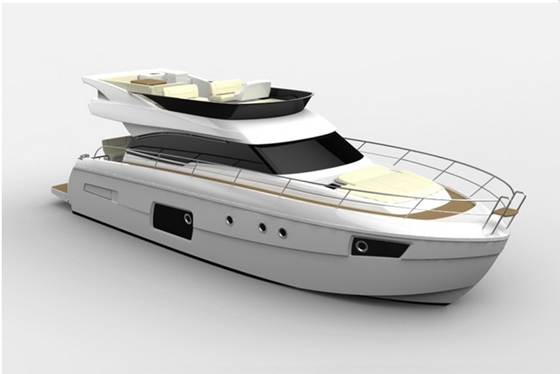 Marco Casali (from the Italian design agency Too Design) has given the Sport 450 Coupe a new flair while the hull reflects the lines of nautical architects of Insenaval SL, builders of numerous mega yachts. 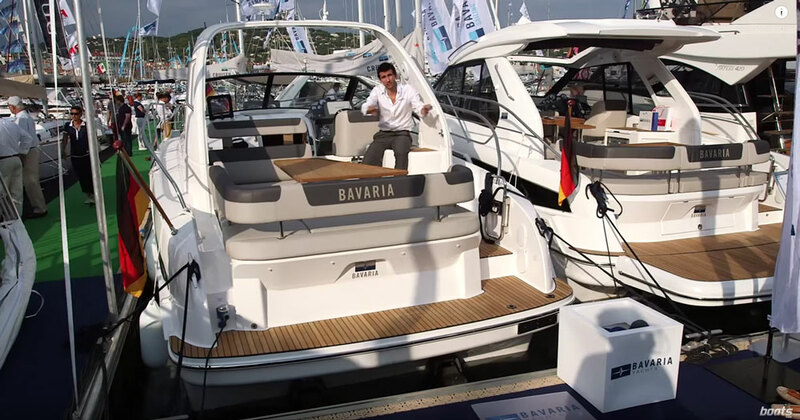 Bavaria, known for superb interior space utilization, offers the 450 in a choice of two or three cabins. The master stateroom is in the bow and two identical double cabins that share a head, are aft. 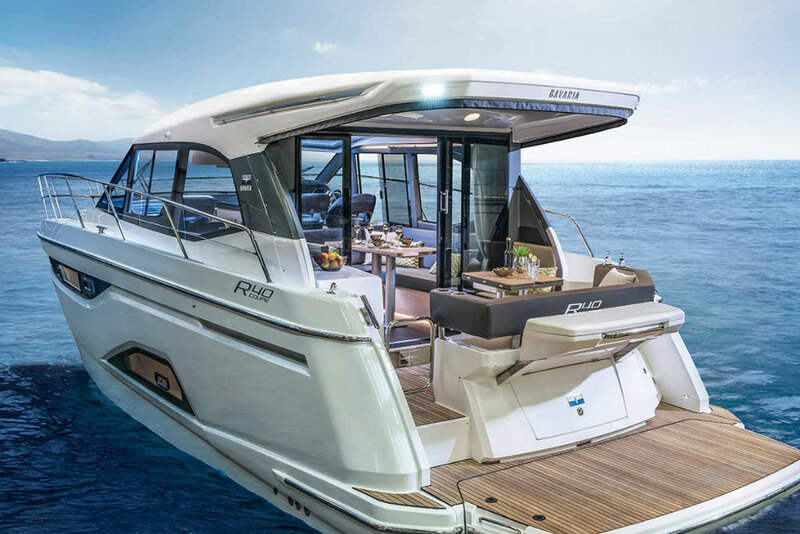 Three engine choices from Volvo Penta include diesels from 370-400 hp and twin IPS 600 pod drives are standard, so there should be plenty of get-up-and-go to this new model. 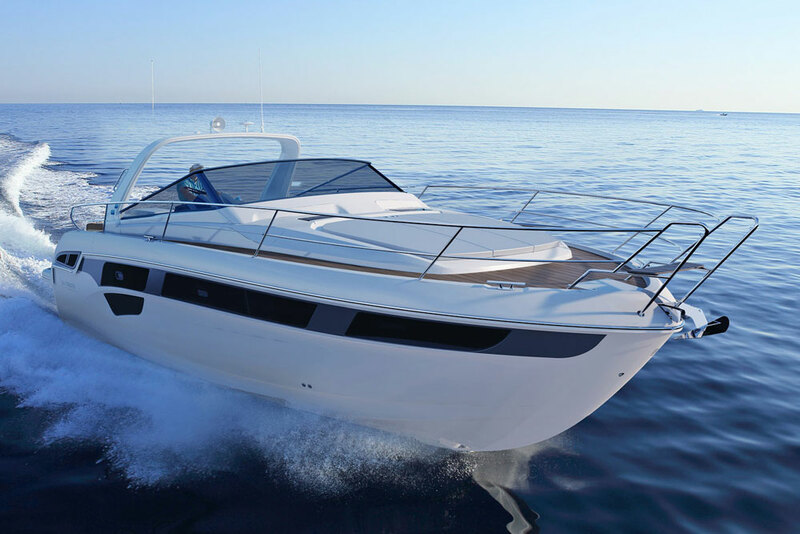 The Bavaria Sport 450 Coupe is, in fact, a sporty boat despite its size - thanks to twin IPS drives and up to 800 horsepower. Of course, the way we see things in America doesn't always match up exactly with the Europeans' viewpoint. 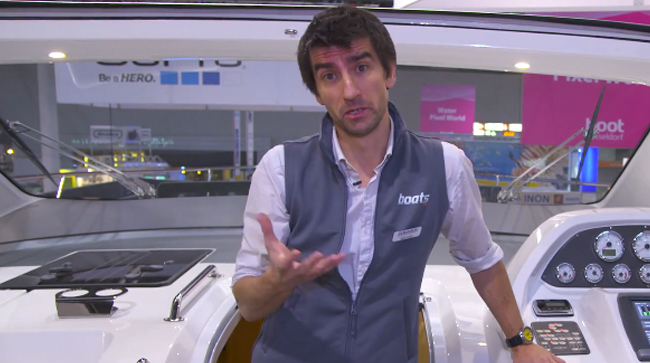 To find out what they think of the new Sport 450 Coupe, watch our UK reviewer Alex Smith's First Look Video of this model. 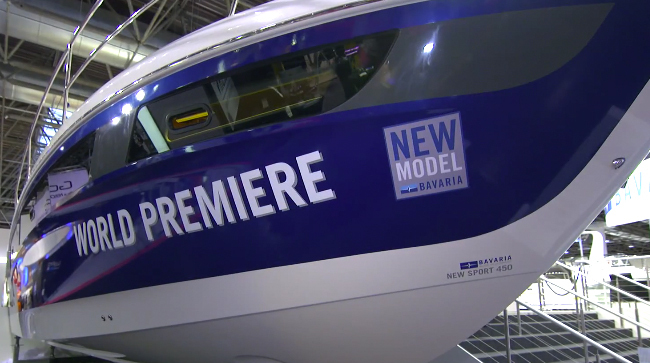 For more information visit Bavaria. 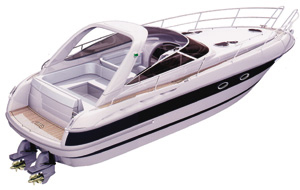 Take a look at some Bavaria powerboat listings.